I awoke to sunshine, which was a nice surprise. 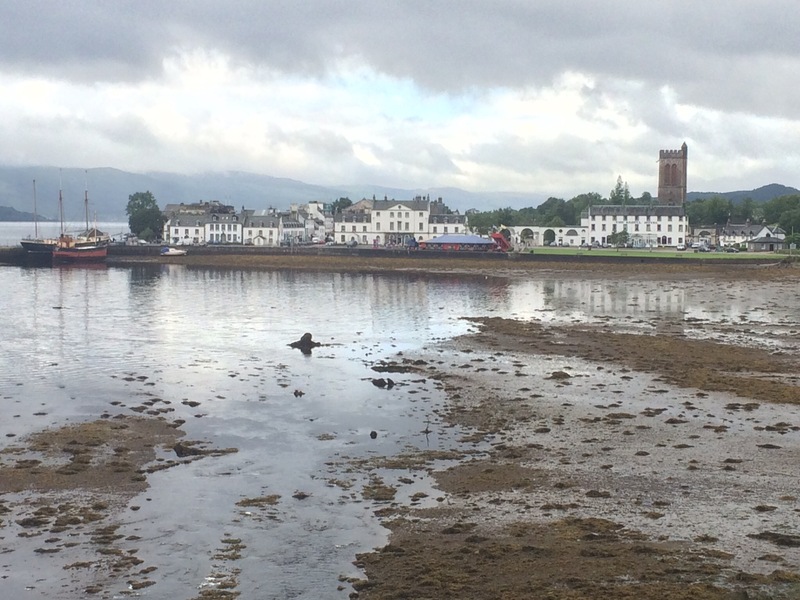 Everybody seemed to creep around the small youth hostel so I decided to walk back along Inveraray high street to find a nice breakfast in a small cafe/B&B. It gave me a chance to appreciate the views across Loch Fyne and the small Loch Shira, which is really just a bay of the huge Loch Fyne. Today seemed like a good day for a walk and I was itching to stretch my legs after a very long day of driving yesterday. I was surrounded by mountains but didn’t have an OS map of the area. 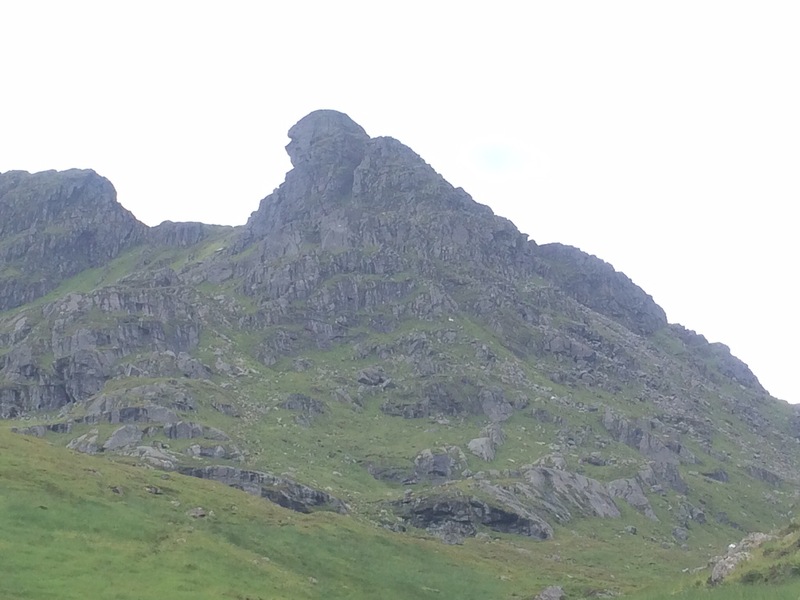 Fortunately there was a map pinned to the wall in the youth hostel and so, after studying it for a while, I decided to head over to the tip of Loch Long and walk up The Cobbler (Ben Arthur). The map indicated a good path and, without a map, I was set to break one of my rules about walking without a back-up means of navigation so I determined that I would only walk to the top if it was a well trodden path. With a plan made I set off, driving back around the top of Loch Fyne and following the A83 back up Glen Kinglas, the main road following the same route as an old military road. 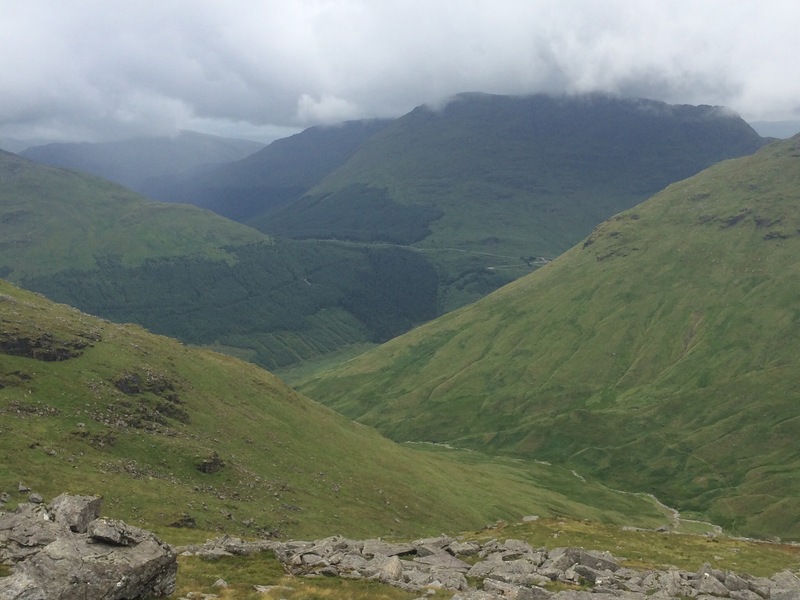 I was still retracing yesterday’s route (but with some visibility today) until I reached the wonderfully named ‘Rest and be thankful’ viewing area at the high point between Glen Kinglas (leading to Loch Fyne) and Glen Croe (leading to Loch Long). What a beautiful spot and today I could admire the view that wasn’t visible yesterday. The road descended down Glen Croe, through Ardgartan Forest and in fact skirted around the mountain I intended to walk up, although I couldn’t see it through the trees. 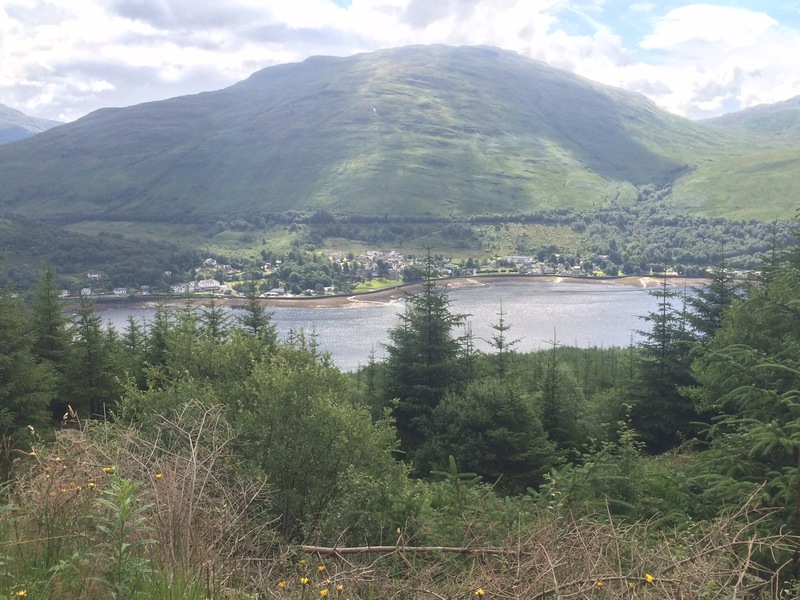 I reached Loch Long and stopped at the car park on the edge of Succoth, the town at the Northern tip of the Loch. There were lots of cars parked and people setting off hiking so I decided that, even though I was map-less, I would follow the well-marked path and not deviate from it. 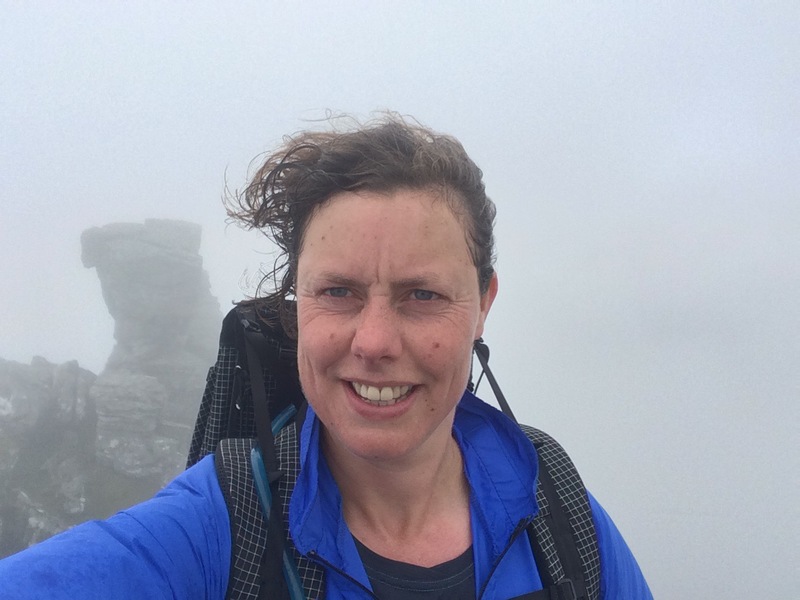 I knew where I was heading – to the top of The Cobbler and back – so it shouldn’t be difficult and there seemed to be plenty of other people with the same idea as me and making the most of a break in the bad weather. 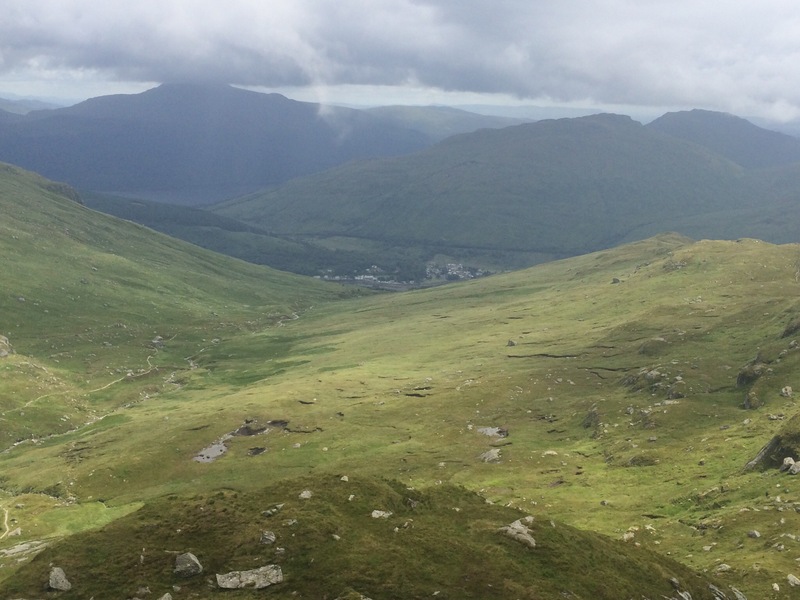 What a wonderful climb up to the summit of Ben Arthur at 884m. The rocky top does look a little like a cobbler mending a shoe. Once I was above Ardgartan Forest the path followed a stream to the col between the 2 summits of The Cobbler and Beinn Narnain (926m). Tempting as it was to head for the higher peak, there was no well trodden path so without a map I stuck to my original plan. I passed lots of people on my walk up and down this mountain – no one passed me so I must still be pretty walk fit even after so long sat in a car. There was a round route to the summit with steps going up and then a more difficult descent down the rocks. How typical that the weather should close in when I reached the top! Still, the views on the way up were magnificent and I was enjoying the exercise. It took me just over 3 hours to complete my walk and so there was plenty of time for some more sightseeing when I arrived back at the car at 2pm. I drove around the head of Loch Long, through Arrochar, and then took a wee road up and through Glen Douglas, crossing over the hills to Inverbeg on the shore of Loch Lomond. This was a stunningly beautiful drive. Although nothing is marked on the map I guess there’s some military bunkers here as there was a lot of security and megaphones were in operation. I am around the corner from Faslane after all. 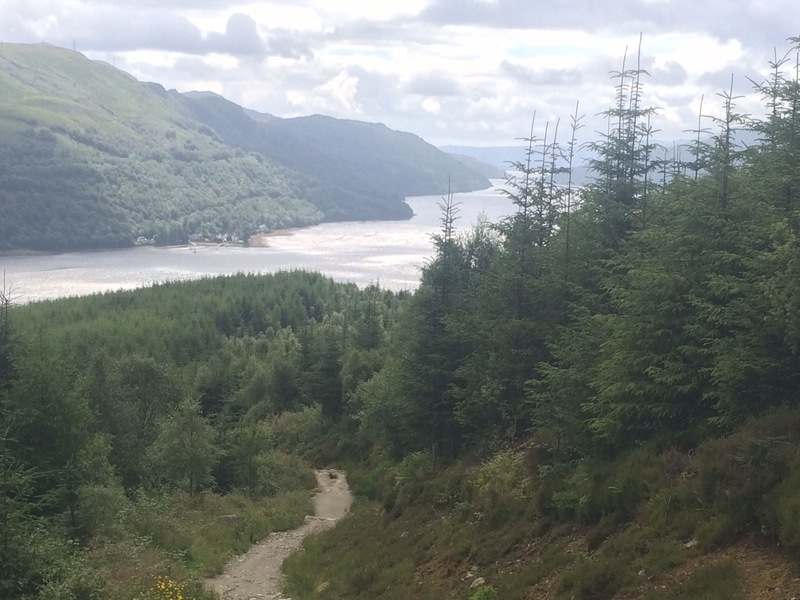 After a few miles driving down the Western shore of Loch Lomond I cut back across Glen Fruich to Garelochhead and the Rosneath Peninsula – a tear drop between Loch Long and Gare Loch. 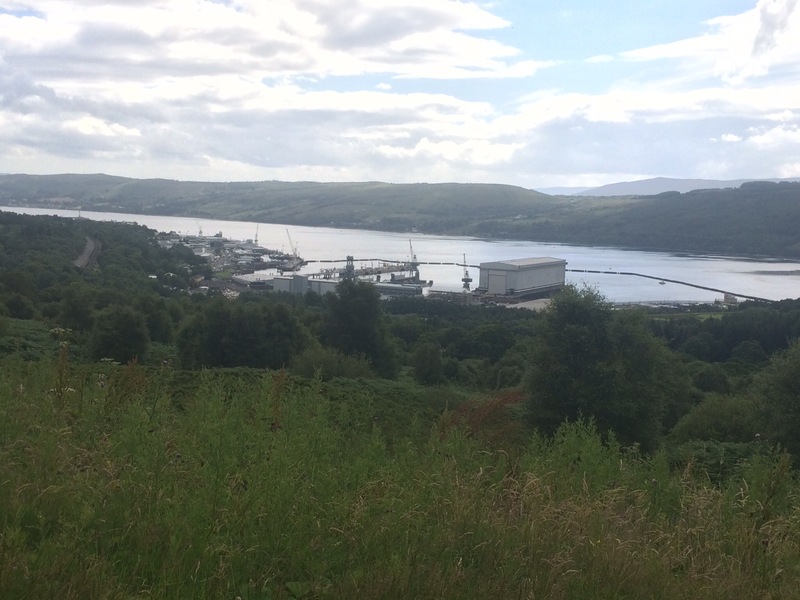 This is Royal Navy country and I drove past Coulport and Faslane (one on each loch). 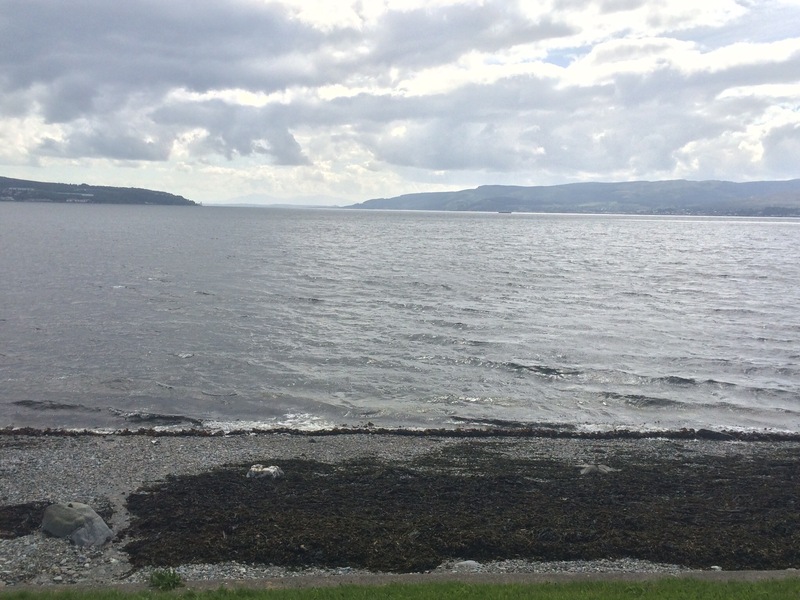 The Rosneath peninsula is not very large but it was worth driving around to see the views looking South across the Firth of Clyde to Greenock and Dunoon. A great spot to shelter submarines. 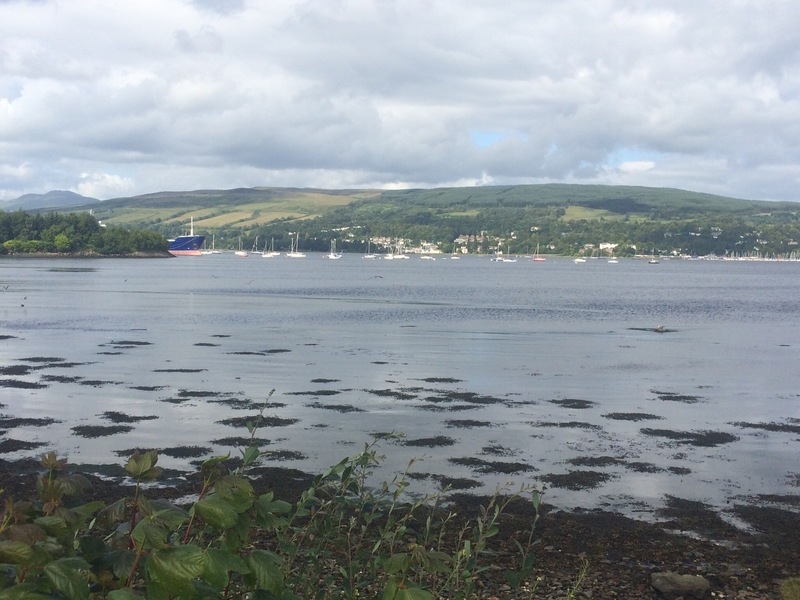 Finally, I drove down the East shore of Gare Loch and stopped on the sea front in Helensburgh, once again facing across the Clyde to Greenock and Port Glasgow, and across the mouth of Gare Loch to Rosneath Point. 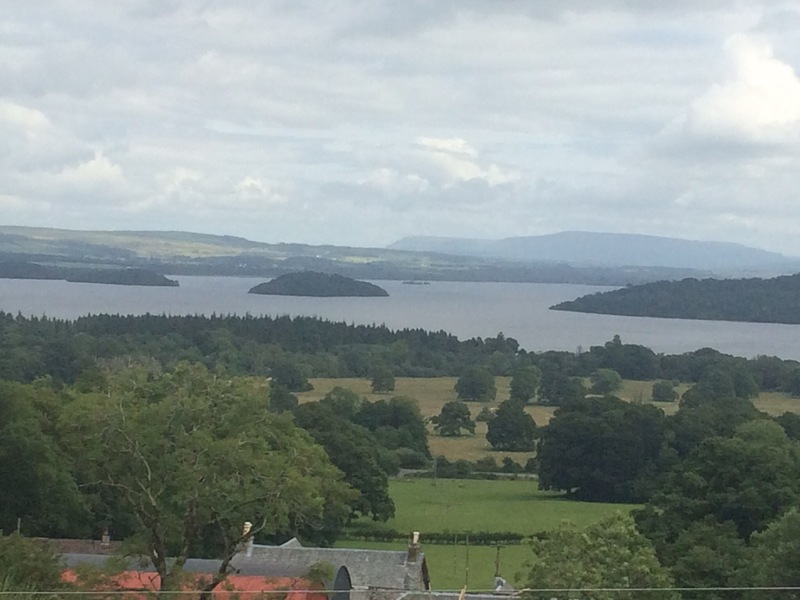 It had been a fantastic drive cross-crossing between the lochs; there is so much water and beauty around Glasgow. It was late afternoon and my final stop was Morna’s mum’s house in Balloch. I headed out of Helensburgh via a quick stop to peer through the fence at Hill House, designed and built in 1902 by Charles Rennie Mackintosh for the Blackie family. Unfortunately I had missed opening hours. I had a wonderful evening in the company of Isabel. I don’t think I have ever stayed in a cleaner house and she is a real inspiration for all the activities she gets up to in her eighties. It was lovely to be treated to good food and great company.